The Limelight Lyra bed is a solid metal bed frame from Limelight Beds Ltd. The Lyra bed, also known as the Arlington bed, is available in standard double size or kingsize and they have a sprung slatted base to provide you with that additional comfort and support for the perfect night’s sleep. Sizes Available : Available in 4’6` and 5′ sizes. Colour / Finish options :- Chrome finish. 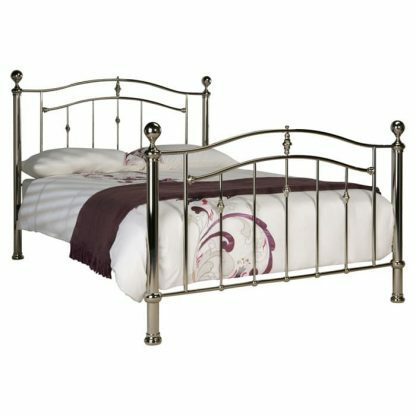 Delivery Options: FREE Delivery on UK mainland, please allow seven to ten days for your Lyra bed to arrive. Mattresses are not included with your Lyra bed frame, please visit our mattress section to make your selection.